The Keep Our St Helier Hospital (KOSHH) campaign are doing a Buggy Army stunt on Saturday May 10th. 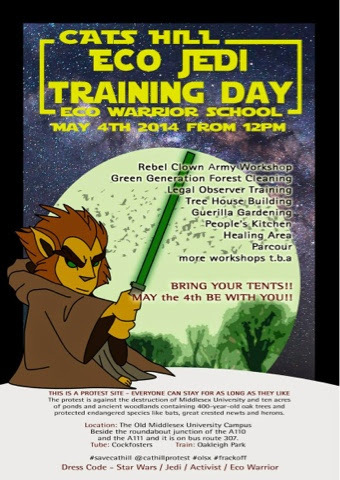 It'll be at 2pm (starting opposite the hospital), and will involve parents, kids, and anyone else who'd like to attend. The Keep Our St Helier Hospital (KOSHH) campaign are doing a Buggy Army stunt on Saturday May 10th. It'll be at 2pm (starting opposite the hospital), and will involve parents, kids, and anyone else who'd like to attend. It's been inspired by what the Lewisham hospital campaign did. Or simply just spread the word. The occupation of the former police stationon Lower Clapton Road by Hackney residents who describe themselves as “not political” but homeless provides the owners, namely Free School Trust the Olive School, with the opportunity to prove their claimed commitment to “community service and charitable giving”, as reported on their website. The Olive School must act humanely and negotiate with the occupiers to find a mutually beneficial deal that allows the occupiers to remain in the building until refurbishment commences. The Free School system is transforming the way education works in the UK, taking responsibility away from state-organisations such as the Department of Education and putting it in the hands of trusts of people who are allowed to make unprecedented decisions on the curriculum and management of their schools. As “no timeline has yet been fixed for its move to the police station”, the Olive School’s board of trustees must intervene in the ominous threatened “appropriate action” of the Department of Education and insist that they themselves can negotiate and strike a compromise with the occupiers rather than mercilessly and violently evicting them out on to the streets. Squatters are not a problem, they are the symptom of the chronic lack of affordable housing in the UK currently. They are human beings struggling to survive and improve their lives in the face of insurmountable intolerance and criticism from the media, the public and the impotent interventions of supposed ‘welfare’ institutions that have no resources to help them thanks to Government cut-backs. Squatting, or more neutrally ‘self-housing’, is a solution allowing owners and occupiers to work together to maintain and protect buildings whilst providing urgently needed shelter in these times of dangerous ‘hidden homes’. Where will these people go if evicted? Hostels are flooded with drugs and toxically over-crowded, the waiting list for housing from councils is over two years, and there is no temporary alternative besides a cardboard box on the street. This is the latest installment of the ruling Government’s consistent attacks on anyone who would attempt to solve their own problems of housing. In 2011, the Government criminalized squatting in residential properties, despite the thousands of empty homes across the UK and their purported commitment to the ideals of letting people take control of their own communities without government intervention. Council housing is being sold off to private landlords and the number of rough-sleepers is soaring, yet those who would seek only to house themselves continued to be demonized as a source of misery and inconvenience for the rich. Making deals with those who occupy buildings without express license is not unprecedented, and have historically been a common solution to immediate housing issues. In the 1950s, the Government was compelled to make deals with the thousands of ‘Vigilantes’ who occupied military bases across the UK in the aftermath of the post-World War 2 housing crisis. Again in the 60s, even Conservative politicians and other boroughs across London took the bold and progressive move of signing agreements with the Family Squatting Movement, which commentators since have acknowledged was the start of the housing co-op movement in the UK. Even recently, the owners of the Pizza Express on the Kentish Town Road made an agreement with the occupiers, allowing them to host community events and house themselves through the winter. Also, it is a common practice among property owners to install ‘property guardians’ into buildings in order to prevent them being occupied by unlicensed self-housers. Instead of evicting one set to install another, the owners should work with the current residents, rather than pouring more money into an unethical business model that only excludes and makes homeless more people than it houses. The Government, the public, indeed the whole UK must cease in its’ inhumane analysis of those who self-house and self-help themselves in this current economic climate. In the upcoming years, thousands more people face eviction from their homes, and when they try to house themselves, they will be criminalized and persecuted by people who naively believe it can never happen to them. 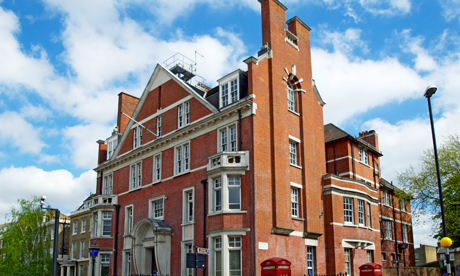 Common myths about making agreements with self-housers include that they will damage the property, yet if the grade-II listed police station is to be refurbished anyway, why should this be a concern? Moreover, due to their living situation self-housers often show a deep house pride, as well as an uncanny ability at DIY to improve the conditions of derelict and abandoned buildings in order to make them livable. I would propose to the Department of Education, the Borough of Hackney and the Olive School that instead they humanize this issue, approach the occupiers and find out what they can do together, in a genuine spirit of ‘the Big Society’. If free schools are to be really free and find a meaningful place in the community, they must address not only issues with education, but with the ills of residents in the local area. If the Government is to be truly representative of the nation, then they must also represent the rights of the poor and dispossessed, not only the wealthy and privileged. Work with these residents and find a compromise together, rather than evicting them into an uncertain and difficult future. Evictions do not solve homelessness, they only further endanger lives and dehumanize the most vulnerable in society. The time has come for us to look to the history of self-housing with pride and respect and act accordingly to help the citizens of this country who would only try to help themselves out of a desperate situation. Squatters take over closed London police station Hampstead It is one of 63 London police stations either closed or due to close before 2016 to save costs. Squatters have moved in to a police station in north London which closed last year. The Met Police says it received a report on Monday that squatters had moved in to the former Hampstead Police Station in Rosslyn Hill. 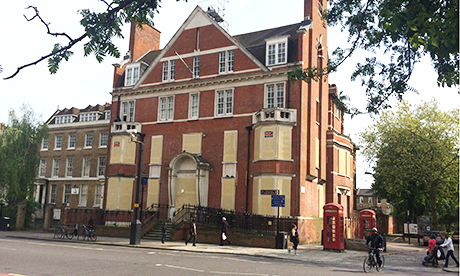 It is one of 63 London police stations either closed or due to close before 2016 to save costs. Solicitors have been instructed to obtain possession of the building which is up for sale, said police. A spokesman added: "The station was closed last year and has been boarded and secured ever since. "It is no longer an operational police building and has no impact on front line policing." WDM would like to work with others to coordinate (not dominate) a day of action against TTIP on 12 July. We’ve chosen that date because it is near the end of the EU’s consultation on TTIP. TTIP will give huge new powers to transnational corporations. It threatens to undermine public control of services like the NHS and education, to erode environmental and food safety protection, to encourage controversial technologies like GM and fracking, and to give big business sweeping new power to write and challenge laws. We hope a day of action would allow a number of groups concerned about TTIP to come together to express that concern in creative actions across the country. These actions might be focussed on the NHS, on education, on fracking, on GM food, on the power of banks. Some actions would also be focussed on TTIP as a whole. We will then work together to give these activities coherence under a ‘No to TTIP’ slogan. We would like to build a social media tool with a map of where activities will take place, so that all involved organisations can point their own activists to the nearest activity or activities in their area and help build these activities. We will then all feed into the common site with pics and stories from the day. We also hope to produce a common resource to hand out, which would be negotiated by everyone taking part (and of course, if any activists don’t want to use it, that’s fine too). We hope this will be the start of an upsurge of activities around TTIP which will continue in the Autumn. We will hold an information and planning day in London on Saturday 17 May. Please let us know if you want to come (register with katharine.talbot@wdm.org.uk). TTIP is a so-called ‘free trade’ deal currently being negotiated by the EU and US. This deal will give big business more power over our society, our environment, our public services, and our democracy. That’s why we call on activists around the country to demonstrate their opposition to the TTIP on 12 July. But we can defeat this agreement. Protests are gathering pace across the EU and US. President Obama has been unable to get special powers to negotiate the deal through congress. The European Commission has been forced to hold a public consultation. And across the world, countries from South Africa to Ecuador are ripping up agreements like this one. Make your voice heard on 12 July. No TTIP. Unbelievable. It looks like David Cameron is planning to sneakily change the law to let fracking companies drill under our homes for gas, without our permission. Cameron might think he can get away with this because no one’s paying attention. But already 160,000 of us have signed the fast-growing petition to stop fracking. If we can quickly get to 200,000 signatures, it will show David Cameron there will be a HUGE backlash if he pushes forward with these reported plans. Can you sign the petition to protect our homes from fracking? Until yesterday, this change in the law was just a rumour. But now the Financial Times has run a front page story reporting that "the coalition will... change trespass laws, allowing companies to drill without permission..."
Right now, the UK faces a choice - do we pour millions into planet-wrecking fracking, or do we develop clean renewable energy? Hey ,, just under a month until the next Elixir of Life ".. and the Day turned into Night"
Nearest Tube: North Greenwich Station by the O2 Arena (Jubilee Line) and just 5 Minutes walk to the venue. Also bus 108 stops right outside "Studio338"
CE inspires us to begin expanding our way of thinking so we can take conscious steps towards creating BIG change on the planet. CE's Mission! Squatters have moved into the former Hackney Central police station – in an act they say is not a political statement, but which perhaps betrays a healthy sense of irony. The squatters are understood to have moved in around two weeks ago, and a “small group” of them are now living there. The Citizen reported last month that the police station had been sold for £7.6m for use as a free school, after closing its doors in July last year. When the Citizen visited the police station on Thursday evening the paper was greeted by two of the occupiers and a couple of excitable dogs. The squatters were bringing what appeared to be an amplifier into the building. Most of the building’s windows and doors are boarded up, but windows on some of the upper floors were open and lights could be seen inside. A notice stuck to the front of the building stated that the building was under occupation, and that laws against the squatting of residential buildings did not apply. In a statement to the Citizen, the squatters said that a small group of occupiers had moved into the police station as they were currently homeless. They said that they did not regard themselves to be activists. “This is not a ‘political occupation’,” the statement said. The squatters said that they were seeking to come to an agreement with the building’s owners to use it as a living space until it was needed for further development. The Citizen understands that the squatters are unconnected to the group who took over 195 Mare Street last year. They have previously squatted elsewhere in Hackney, however. It is not known whether civil proceedings have begun to evict the squatters. Squatting of residential buildings was criminalised in 2012, but squatting of non-residential properties remains a civil matter. In the statement from the occupiers, one squatter expressed concern about the trend towards squatting being treated as a criminal offence. “If anybody were to speak to us they would quickly see that we are not criminals. We just need somewhere to live. We wish to be good neighbours and to look after the property while we are here,” they said. The issue is understood to have been reported to the Met Police, who are thought to have advised people who contacted them that it must be treated as a civil matter. The building was bought last month by the Education Funding Agency, for use by the Olive School – a free school currently based in temporary accommodation in Stoke Newington. Neither the free school trust nor the Education Funding Agency could be reached for comment by the time of publication. Speaking last month, Julie Bradley, Executive Head at the Olive School, said she was “honoured” to have acquired the site, which is Grade II listed in part. “It’s a historic building, treasured by the local community…We feel incredibly honoured that we’re able to take over that history,” she said. The Met Police had also not responded to a request for comment as the story was published. The Royal Philharmonic Concert Orchestra will be joining international musical artists at Fairfield Hall in Croydon on Friday 25th April 2014 at 7.30pm to celebrate the unheard ocean music of whales and dolphins around the world. 'Singing the Oceans Alive' will combine many genres of music with the majestic sound of one of the world's greatest orchestras in this spectacular three hour performance. The guest stars will perform original compositions which incorporate distinctive calls and sounds of various cetacean species. With the aid of projected big screen images of the ocean the concert will be a fully immersive experience for the audience. Author and Narrator Patricia Cori, whose latest just published top selling book, The Emissary and set to become a major film, will host the evening and share her love of the Whales and Dolphins and her not for profit Save Earths Oceans Inc's efforts to help some of our dearest family members of this blue marble, Earth. Occupy news network 5 more Balcombe Protectors acquitted! 5 more Balcombe Protectors acquitted! 126 people were arrested last summer defending Sussex from fracking company Cuadrilla resources. A tiny proportion of those have been convicted. 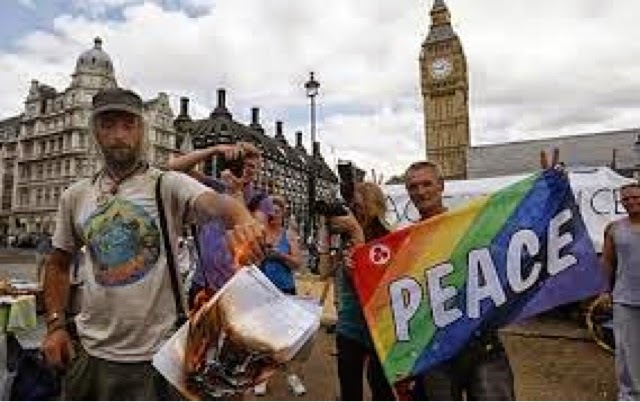 The decision of the Occupy in London General Assembly to organise a mass action, an event for democracy in the vicinity of Parliament, has the potential to ignite a movement for democratic change in this country. The practice of democracy has always played an important, if not a central, part in the Occupy movement. We will campaign for a genuine democratic government free from corporate Influence. How is it possible that a government can make major policy decisions, such as privatise the NHS, triple tuition fees, or introduce the Bedroom Tax without any mandate from the voters? None of these policies were put before the voting public by the governing parties. In the case of tuition fees, it was the clear breaking of a promise by the Liberals. How did they get away with it? The answer must lie, in large part, in the nature of representative parliamentary democracy. The imposition of austerity in Britain has no mandate from the voters. But the democratic legitimacy of austerity is often overlooked by campaigners and commentators. Austerity is not the sole or even the main problem. The problem is a parliamentary democracy that has allowed the government to get away with the largest assault on our individual and collective well being since the Second World War. Parliament is the source of the government’s strength and legitimacy. It allowed the party leaders, Nick Clegg and David Cameron, to stitch up an austerity program which has no democratic mandate. One can argue that coalition governments are sometimes inevitable. But if that is the case, it is even more important that our MPs and Lords hold the government to account, acting as a democratic check on what the government does. Our MPs, irrespective of whether their party is in the governing coalition or not, should be there to defend us from the government; in is they have failed us. The usual response from the defenders of the status quo is that an MP can always be voted out in a general election. But this state of affairs is highly unsatisfactory. It highlights one of the key problems with the representative system of parliamentary democracy. 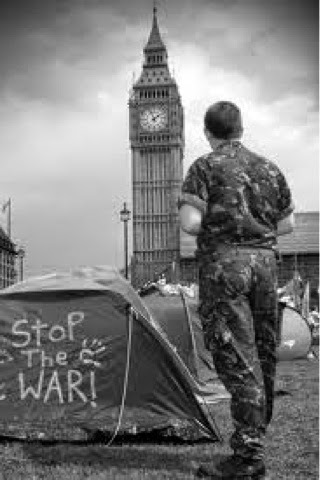 Some decisions Parliament makes are irreversible, such as voting for war. In the case of the NHS, the contracts signs with private companies are protected by clauses which would make the government liable for untold sums. This would it make prohibitively expensive for any government promising to reverse the privatisation. Added to that, the EU is supporting a secret trade deal with North America which would put such decisions in the hands of unaccountable arbitration panels, which could strike down any law made in a national parliament. MPs are elected on the basis of the promises they (and their party) make to the voting public. But once these promises are broken there is little in the way of redress. Once elected, the party leader is free to ignore the promises he or she make to the voters. Why do the vast majority of MPs put loyalty to their party leaders ahead of the promises they make to their electors? Maybe because the decision to enter Parliament for most MPs is a career decision. Voting against the decisions of the party leader can be a very bad career move. MPs today are increasingly unlike the people they represent. This is particularly true for government ministers. They have more in common with each other than the people they represent. They are drawn from an increasingly narrow social spectrum. MPs are much more likely to have a relative who has served as a politician. They are more likely to be from better off backgrounds. Too many have limited experience of work outside the Westminster Village. The current cabinet (and shadow cabinet) fits this mould. Most of the cabinet were educated at public schools and the leaders of all three main parties, including Chancellor and Shadow Chancellor, went to Oxford. Most worked as ministerial aides, party researchers or as lobbyists. And they see themselves as different from the people they represent. While most people have seen their wages stagnate since the recession, MPs awarded themselves an 11% pay rise. Only ten MPs saw fit to oppose the increase. Are we all in this together? Appears not, as far as many MPs are concerned. The expenses scandal revealed a sense of entitlement from our elected representatives that is completely divorced from the realities of their constituents struggling to pay the rent, the fuel bills or feed their families. One of the quickest routes to a peerage is to become a donor to one of the main political parties. The going rate seems to be about £1.4 million. And many peers are former MPs who have served their time in the House of Commons. The furious response from many conservative MPs at the planned cap on the number of peers, which Cameron soon dropped, would indicate that the Lords is seen as a reward for putting the interests of the party leader above anything else. The privatisation of the NHS went through despite an enormous campaign of letter writing, petitioning and demonstrations, from individuals, trades unions, national campaigning groups, and local hospital campaigns. This mass campaign had public opinion on its side. But this effort was more than matched by the lobbying power of the health insurance industry and management consultants who stood to gain from privatisation. The vastly greater lobbying resources of corporations can make government MPs immune to the democratic pressure of such mass campaigns. Added to this is the direct and indirect financial interests of Lords and MPs who stood to gain from NHS privatisation. One hundred and forty five Lords and seventy MPs have declared recent or present financialconnections to companies or individuals involved in healthcare. The fact that they must declare these interests does not make it any more acceptable. Privatisation is also beneficial to the later career prospects of politicians. Those who were involved in steering complex privatisation legislation can look forward to careers as non executive directors in the industries they have privatised, or as consultants to the merchant banks who invest in such industries. Alternatively, they can trade on their political contacts and join a private hedge fund, such as the Carlyle Group, its business model is based on “access capitalism”. The recent lobbying and transparency act will further reduce our ability to hold MPs to account at election time; and it will do nothing to curtail the influence big business has on Parliament and government. The tendency for Parliament to ignore mass movements is not unique to the current Coalition. On 15th February 2003 it is estimated two million people demonstrated in London against Tony Blair’s plan to invade Iraq. Parliament chose to ignore the largest demonstration in British history and support Blair’s decision to invade and occupy Iraq. How many of those MPs would have voted for the invasion if they knew they could be subject to an immediate recall by their electors organised through such a mass movement? In a victory for the mass grassroots campaign against airport expansion, the incoming Coalition government promised not to support new runways in the south east. This was in contrast to the outgoing Labour government. The campaigners against a third runway at Heathrow might have thought they had finally killed of the third runway. But not long after the election, the PR and lobbying machine of the air travel industry moved into action trying to swing the debate in favour of airport expansion. It did not take long for the government to execute the quickest U-turn possible with an “independent” commission on airport expansion, its brief was skewed in favour of expansion. It remains to be seen what choice the voter opposed to expansion will have if all the main parties end up supporting this supposedly independent commission. It remains to be seen how successful big business will be in bypassing democracy. It is a strategy based on the war of attrition, it hopes to gradually wear down campaigners. Very often big business does not even need to bother with lobbying. Lord Browne, is a government advisor to the Cabinet Office on business matters. He is also chairman of Cuadrilla, one of the main companies involved in Fracking in the UK. Some of the advisors at the Department of Energy and Climate Change are drafting key government policies on the electricity “capacity market” are seconded from companies running gas fired power stations. Or we have examples like Lord Blencathra, who is offering “consultancy services” to the Cayman Islands government, presumably to preserve its status as a tax haven. One of the achievements of the Occupy movement in London was to shine a spotlight on the highly undemocratic influence the City of London has on the UK Parliament and government. The City of London Corporation is the UK’s last remaining rotten borough; its lobbying power is institutionalised in the office of the Remembrancer. He is present in both the House of Commons and the Lords. With a budget of £3.5 million and and staff of six lawyers, his role is to ensure that no legislation threatens the privileges of the City. From this position he has direct access to all government ministers and officials involved in shaping any legislation which interests the City. In 2008 City’s banks threatened to shut down the UK banking system if the government did not bail them out. This crisis presented the then Prime Minister, Gordon Brown with the greatest opportunity to reform the City, but he blinked first and, in a panic, he shouldered UK tax payers with £500 billion of liabilities. The bailout was hailed as a great example of Browne’s leadership. He did this without any approval from Parliament. But he could have nationalised the failing banks without compensation and limited the guarantees on deposits. During the banking crisis, there was no talk of austerity from the elites who benefited from this enormous transfer of wealth from the rich to poor. But once the banking system was safely bailed out the demand for austerity from the same elites became deafening. The shift in the balance of power in favour of big business is also present at the local level. In the Government’s drive to expand the fracking industry, the Secretary of State for Communities and Local Government, Eric Pickles has made it much more difficult for local communities to object to fracking applications in their area. The Education Secretary, Michael Gove can remove elected school governors and hand over control of schools to business. And this power grab from big business is manifest all over the planning system. Whether it’s the local pub being turned into a supermarket or the proliferation of betting shops on our high street. There is little local communities can do to resist these developments through the democratic process. In addition, Parliament has recently granted the health secretary the power to close hospitals without any community consultation. In the case where local communities are resisting developer land grabs, or privatisation, they are often hamstrung by the commercial confidentiality clauses our elected representatives are allowed to sign with big business. This has become a major issue for campaigners resisting corporated led “regeneration” plans like the Heygate Estate. A similar problems surrounds the Private-Public Partnership deals in the public sector. Given the state of our democracy it should not be surprising that increasing numbers of people are so disenchanted with our system of democracy that they are no longer bothering to vote as Russell Brand has pointed out. Our media and political system has conspired to create a parliamentary democracy which represents an increasingly narrow spectrum of opinion. Those of us who question the need for austerity are effectively disenfranchised when the main parties all accept this narrative. Why the government has (and it must be stressed – thus far) been able to get away with it is another question. Passive, atomised and misinformed is not the state we are in but the way the government would like us to be. Our ability to resist has been reduced as a result of a transfer of power that has taken place over the past thirty years. This transfer of power has occurred at all levels of government and in all spheres of our life. Our power to resist both individually and collectively has been reduced. The public have been badly mis-informed. The BBC described NHS privatisation as a “bill to give power to GPs”. The government and the media have tried hard to play one section of society suffering from austerity against another; demonising families on benefits, or whipping up a wave of hysteria about Bulgarian or Romanian immigrants. Nobody elected Daily Mail editor, Paul Dacre, yet people like him have power over us. The consequences of a hostile media campaign targeting any minority group can threaten someone’s physical security. Local democracy has been emasculated as more power has been centralised in Whitehall. The recent cuts in Legal Aid disempower us because they take away our ability to protect our rights through the courts and to fight miscarriages of justice. Would the Birmingham Six have been able to establish their innocence without Legal Aid? Would we have been able to uncover the extent of police spying or corporate collusion if climate activists had not been able to defend themselves with Legal Aid? The best way for working people to defend their conditions of employment is through a trade union. But legislation introduced since the 80s has reduced the power of trade unions to defend their members. Added to that is the huge defeats inflicted on the unions in the 80s weighs down a like a collective nightmare on the trade union movement. And the democracy of the street, that is, our ability to protest has been whittled down as successive laws restricting public assembly have been introduced. The police have become better at containing protest through tactics such as kettling. The main objective of the police is not to “facilitate” protest but to defeat protest through a strategy of demoralisation and fear. This was clearly evident with the student protests of late 2010. The current laws on protest makes the kind of protest witnessed recently at the Maidan in Kiev illegal if repeated in Parliament Square. How can it be that in the Ukraine the right to protest is better protected than at the “Mother of Parliaments”? Our political system is increasingly unable to deal with the consequences of a social crisis it helped to create. We are facing record homelessness, while many more struggle to keep a roof over their heads, record numbers are relying on food banks to feed their families and records numbers are facing fuel poverty as energy prices rise eight time faster than wages. Since it is probably safe to assume that nobody voted to be made homeless, hungry or unemployed. It appears that the majority are not able to use the democratic process to improve, let alone protect, the basic necessities of life. 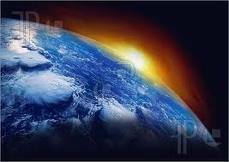 Our sense of powerlessness mirrors in an opposite way the increasing power big business has over our lives. It is time we took mass action to stop this. It was our forebears, the Levellers who first raised the demand for universal suffrage, the Chartist and the Suffragettes fought to extend the franchise by reducing the property qualification and giving women the vote. Little could they imagine the extent to which corporate power has subverted the vote for which they fought so bravely and sacrificed so much. Any movement campaigning for genuine democracy should draw inspiration from them and learn from their experience. 1. What power do you have? 3. To whom are you accountable? 4. In whose interest do you exercise it? Of these the fifth is most important. The late Tony Benn noted that those with power do not like democracy and that is why every generation must struggle to win and keep it.